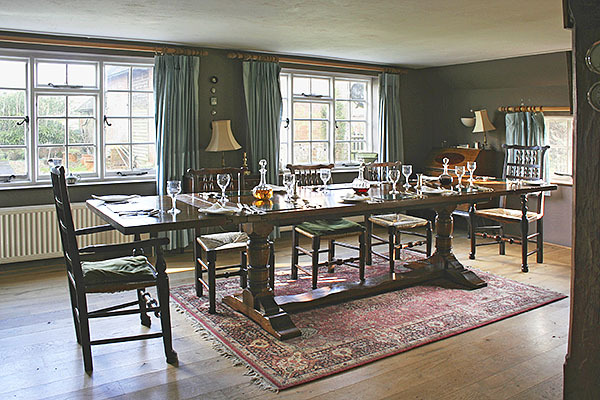 Our semi-bespoke Berwick range period style pedestal table, shown here with optional extending leaves attached,in our clients Sussex farmhouse dining room. In this guise, the table will comfortably sit 12 people. An impressive table at a very reasonable price!